Borthwick Castle has long been known locally as a leading wedding location, and we have been the setting for many a magical marriage over the years. 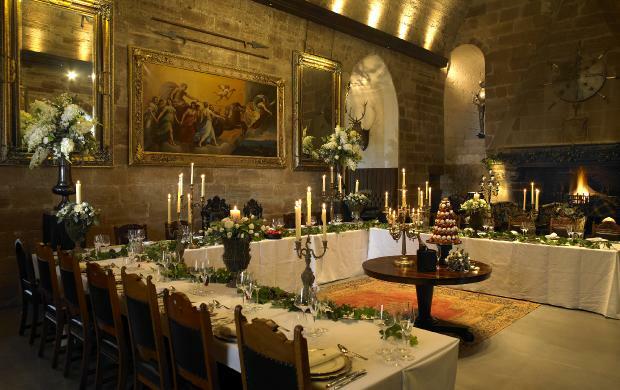 However, following the Castle’s lavish refurbishment, word is spreading much further afield about Borthwick’s ability to host the most wonderful and luxurious Scottish Castle weddings. With the first nip of Autumn now in the air, we are looking back at what was our busiest summer wedding season in recent history. And what an enjoyable and rewarding few months it has been, with the Borthwick events team managing a busy calendar of beautiful custom-made weddings for some of Scotland’s happiest couples. Summer weddings are special, with the promise of balmy sunshine (hopefully! ), fabulous flowers and champagne celebrations on the lawn. We approach each booking knowing that this is the most precious and personal day of most people’s lives. That means that we start with a blank piece of paper and, carefully and creatively, we start to build a vision for each wedding that is completely personal. A custom-made wedding means the sky’s the limit. It could be sophisticated canapes and cocktails, wild ceilidh dancing and drams galore, a colourful fusion of different cultures and faiths, a super-stylish modern get together or the ribbons, bows and tartan trimmings of the most traditional Scottish ceremony. We can host civil and religious ceremonies of any kind in our Garrison room at the top of the Castle, wedding banquets, drinks parties, dances and celebrations of all shapes and sizes in the State Room and Grand Hall – plus family and friends can join the bride and groom to stay for a weekend or longer in our wonderful bedchambers. Anything is possible at Borthwick, all set in our magnificent Castle with its blend of medieval grandeur and relaxed, home-from-home warmth and comfort. When planning the ‘big day’ there is also the task of creating a delicious menu for wedding guests. 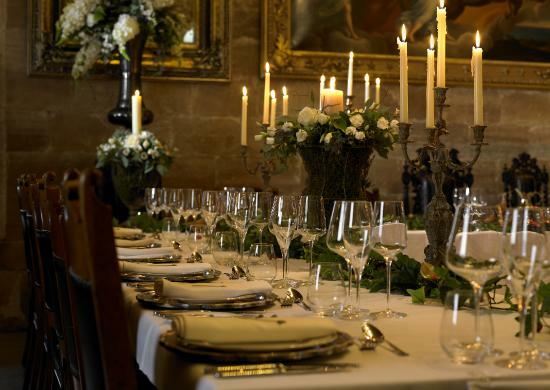 Once again, Borthwick has a completely personal approach to catering and can deliver everything, from elegant drinks receptions and dinners to hearty hog roasts and medieval style Borthwick Banquets. And then there are those little things that turn a great wedding into a truly unforgettable day. A piper on the Castle steps, a romantic rose petal bath, beautiful horses, personalised cocktails, traditional Indian wedding garlands…these are just a few examples of the personal touches that we have organised in the past few months for our wedding parties. Our in-house team is amongst the most passionate and professional in the business, and we will go above and beyond to turn wedding dreams into reality. So what’s next? Well, the increasingly popular winter wedding season is now upon us! Luxurious, wintery weddings are more popular than ever, and with our roaring fires, twinkling Christmas trees and warm Scottish welcome, we are very much looking forward to hosting more brides and grooms and their guests at the Castle. If you would like to speak to a member of our team about staging your wedding at Borthwick Castle, please give us a call.